When will be The Best Hit next episode air date? Is The Best Hit renewed or cancelled? Where to countdown The Best Hit air dates? Is The Best Hit worth watching? 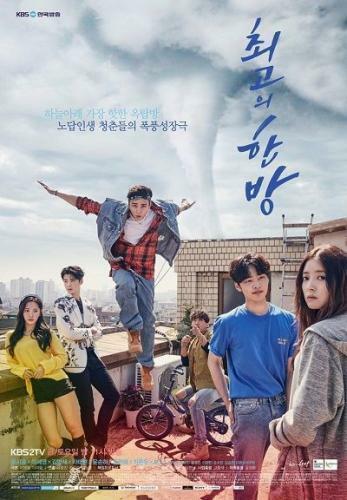 The Best Hit is about the tumultuous lives of contemporary twenty somethings, as they worry and learn how to connect with people, how to love, and how to succeed in this harsh world.Yoo Hyun Jae is a member of a popular idol group. He has a lot of fans and he is a scandal maker. Meanwhile, Lee Ji Hoon is an aspiring singer. He pretends to be studying for his civil servant exam, but he is actually struggling to become an idol. The Best Hit next episode air date provides TVMaze for you. EpisoDate.com is your TV show guide to Countdown The Best Hit Episode Air Dates and to stay in touch with The Best Hit next episode Air Date and your others favorite TV Shows. Add the shows you like to a "Watchlist" and let the site take it from there.